Lock in a great price for Villa Castel – rated 9.5 by recent guests! About everything. Interesting place for a short stay. The hotel is an island of tranquility on an island of joy. The hotel breakfast and dinner were great. The staff is so nice and helpful. lovely tranquil spot . staff with wonderful smiles .. heard the drums from my room read my book by the pool on my last day .. 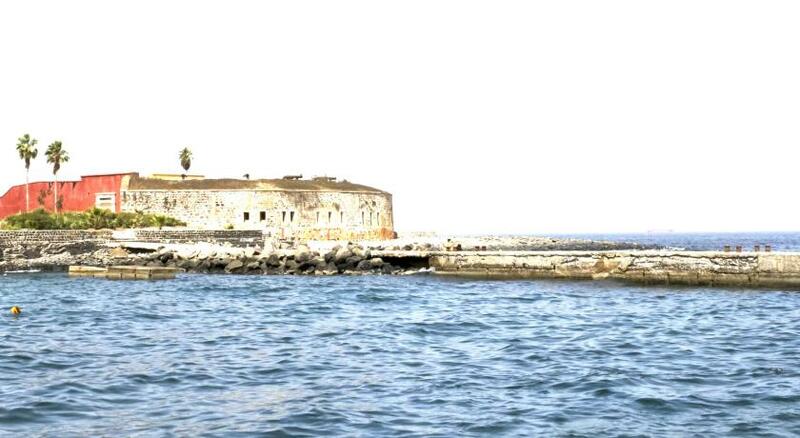 Fantastic location for my wife and I to see Goree Island sites including the House of Slaves. Very friendly and helpful staff, like home, especially the hostess, Mariam, as well as the owner, cooks, servers. Lovely enclosed courtyard with trees, flowers, butterflies and restful lounge areas. The breakfast is great and made as you like it. Just make the reservation! Beautiful room w/balcony. Super-comfy large bed w/comforter and if necessary net. Great shower. Lovely courtyard w/different areas for relaxing and eating breakfast. Very quiet fr outside noise. Staff were wonderfully warm and welcoming, and very very generous with their time and attention. Definitely going back. Well done! The location is perfect, and the hotel is built around a lovely little courtyard. The breakfast was tasty! Beautiful little place with a magnificent inner court, even has a nice pool. Great food, friendly staff. The suite that we booked for a very reasonable price was spatious and nicely furnished with furniture and arts from local craftsmen. We highly recommended this place and especially the suite, well worth the price! Could not have asked for more. This is a stylish, characterful boutique hotel. It has a swimming pool and spacious comfortable rooms in a historic property with many original features. Centrally located on Goree Island, Villa Castel offers a furnished terrace, a flower garden and Wi-Fi is free of charge in the entire property. The air-conditioned rooms at Villa Castel feature a seating area, a wardrobe, and the private bathrooms are complete with a shower and toilet. Solar panels provide the house with an eco-friendly power source. A continental breakfast is available daily. 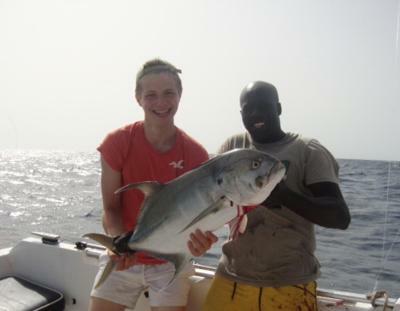 Villa Castel can organize half-day or full-day boat trips, fishing trips and transfers between Goree and Dakar on the owner's boat. This property is also rated for the best value in Gorée! Guests are getting more for their money when compared to other properties in this city. When would you like to stay at Villa Castel? The air-conditioned room features a seating area, a wardrobe, and the private bathroom is complete with a shower and toilet. This suite has a hot tub, tile/marble floor and seating area. House Rules Villa Castel takes special requests – add in the next step! One older child or adult is charged XOF 5000 per person per night in an extra bed. Villa Castel accepts these cards and reserves the right to temporarily hold an amount prior to arrival. There is nothing worth mentioning that we didn't like. Even the cats concert at night had it's charm. The water switched from cold to warm by itself and got boiling hot very fast, so parents need to check the temperature while bathing their little ones. This was one of our best stays in Senegal, out of five hotels. The villa itself is just beautiful. Miriam and the rest of the staff couldn't have been more helpful. Breakfast was great. Highly recommended. It's worth to stay at Goree for two nights. Welcoming, friendly and with a warm feeling of being at home all through my stay. Air con was extremely loud guessing with broken fan and mosquitoes present so it got pretty warm in the room, still acceptable at 23dC. Very nice and friendly people there! Recommandable! Not being able to pay with a credit card. It's a lovely place to spend the weekend to rest and relax. All staff are wonderful, very friendly and accommodate all our needs. Rooms are beautiful and comfortable. We will miss the place ! It was holiday in Senegal on Monday and we stayed for 3 nights, it's a lovely place to relax and rest. Very friendly staff ! Absolutely awesome! Great rooms, good breakfast and very friendly staff.